Christopher Lucas, a professor of higher education and educational foundations, revised his 1994 text on the history of American higher education, which traces its beginning to the dawn of recorded history in general. Lucas tells this story in fewer than 400 pages, keeping it concise and topical. Lucas’ revision added pages to the second edition that offer perspective and updated information on debates over higher education’s access, cost, academic quality, social impact and curricula. 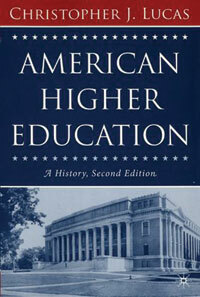 The first edition of Lucas’ history of American higher education made an impact on the education community’s perception of higher education when it was published. It is used in graduate programs around the country in courses to prepare people for positions in administration, student services and higher education. Several reviewers commented on the first edition’s readability for a general audience. The second edition covers the infusion of market values into academia, as well. Lucas is the author of several other books, including Teacher Education in America, Crisis in the Academy and New Faculty.